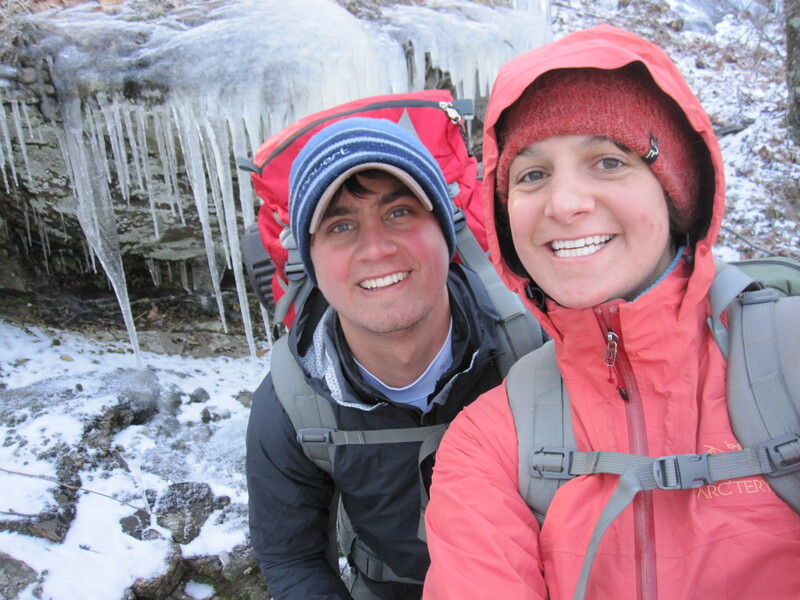 ← Overdue Thank You’s/We’re really doing it, we’re hiking the AT! We are currently feasting at a cafe in Hiawassee, GA and having no troubles joining the clean plate club. The first of our resupply box shipments is what initially brought us off the trail at Dicks Creek Gap, with intentions of getting right back on. 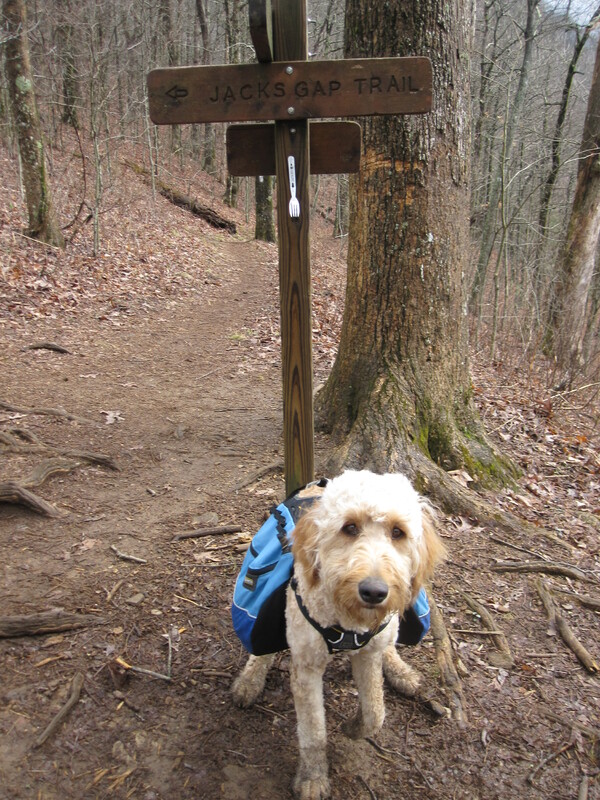 We sent dog food and meals for ourselves ahead to locations that hold them for Thru-Hikers, estimating about every 8 days, that being the amount of food the dogs can hold with full packs. So, when we arrived to our first resupply stop with 2.5 days worth of dog food yet to be eaten and a tent in need of replacement/repair, we decided it best to come into town. We found the most affordable dog/hiker friendly place in town that even picks you up & takes you back the 7 miles to the trail so hitch hiking wasn’t necessary. I’ll let Brent take over from here – he’s more of a bullet point kinda guy. There is a whole lot more to Georgia than Atlanta. Our 2 hour ride north with Ron showed us quickly how beautiful this part of the country really is. We have been quite fortunate with weather. Talking to other hikers that started a day or two before us it sounds like we just missed the cold and snow. We only saw snow and cold for the first few hours of hiking is all. Two days of rain, which our tent didn’t do the best in, but other than that no complaints. Proud to report we’ve cranked out 70 miles in 6 days in some tough terrain. Steep climbs and descents are one after another for the entire stretch of Georgia’s portion of the AT. Overall we’re feeling good, but like most, it’s about this point in the hike our bodies are really feeling the rigorous work we’ve been doing day after day. Both of our heels have taken a hit, and mole skin is helping, but nothing is as good as rest at this point. Alexis has been a trooper dealing, in addition to her worn heels, with a stubborn cold from the beginning (voiceless the first two days, which was kinda nice…haha), and also a sore/swollen knee. I give her props for keeping up with us boys who like to set the world on fire, but I don’t want it going to her head either. Dogs are doing so great besides being a bit too vocal towards select hikers. We’re slowly getting them off the leash more and they certainly keep our pace moving, and having been staying on trail surprisingly well. Health wise both are great except Lewis got a couple sores from his pack rubbing, so Jack & Momma took his load yesterday to let him heal. Sure enough, after every hard day of hiking when we get to camp, take off their packs, they usually have another hour of running and playing left in them. This has been stick heaven for Lewis and its his life mission to have Jack chase him in pursuit of the perfect stick. 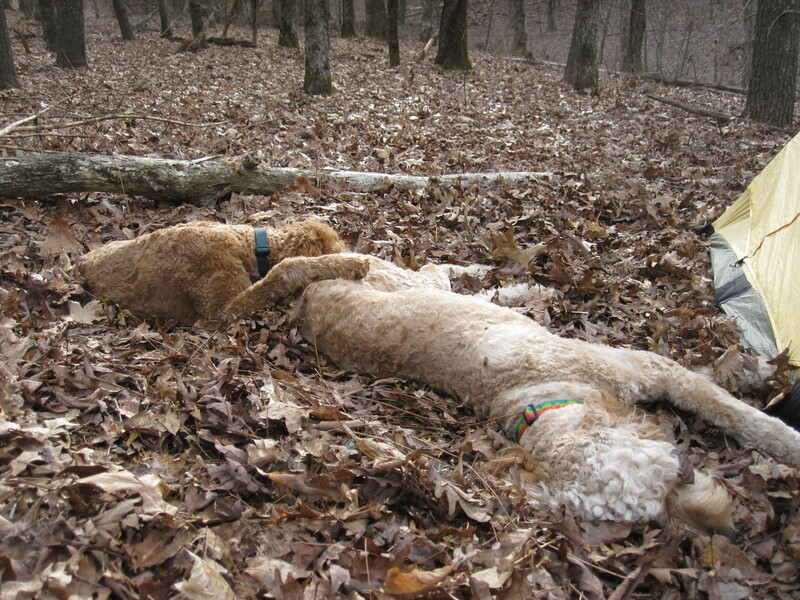 It has become obvious that we’re hiking with puppies who haven’t quite matured into dogs they’ll become. Can’t learn any younger and 2000+ miles of training lay ahead, right? Once in the tent they have no trouble settling in for the night, except when Jack is busy keeping the bears away with a bark here and there. It’s funny after raising them separately their first year how they’ve swapped loyalty – Lewis is now my shadow and Jack won’t let Alexis out of his sight. Hanging the ‘bear bags’ in the evening has become my entertainment and by end I’ll be pro. We have to hang two separate ropes because of the dog food, making it extra challenging. Lex doesn’t like what I call all the locations we pass. ‘Cheese Factory Site’ obviously is the same as ‘Cheesecake Factory’ I say, but she thinks I’m stupid when I say that in front of others. 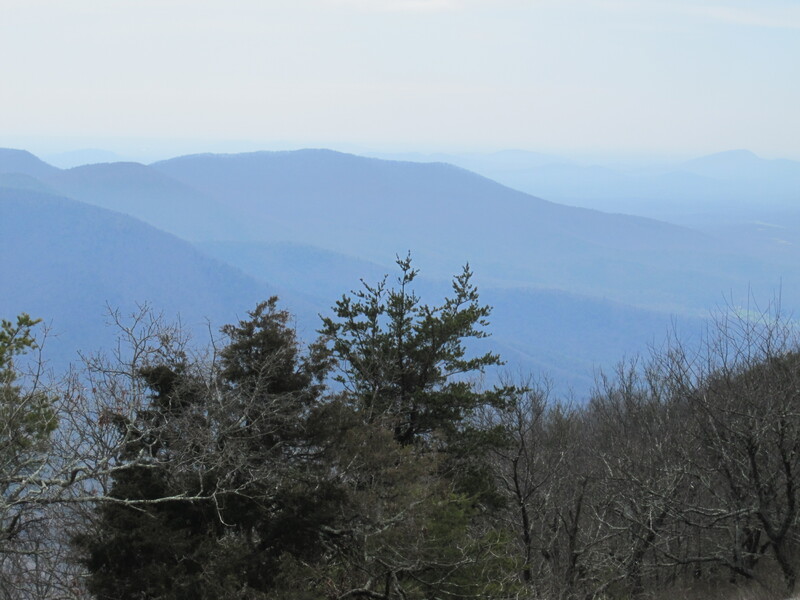 Tomorrow, when we pick up on the trail where we left off we’ll be a mere 9 miles from the North Carolina border. That has us both thinking ahead about having to leave these boys while we pass through The Great Smokies National Park. (Dogs aren’t permitted in the park so they’ll be staying at a nice place on the north end of the park for the 8 days it will take us to pass through.) It’s tough to say who will miss each other more! And finally, from us both – thank you for reading and cheering us on. We appreciate all the emails and comments greatly. Don’t hesitate to ask questions, share advice, or tell us how crazy we are – we welcome it all! This entry was posted in Uncategorized and tagged Georgia. Bookmark the permalink. That’s not completely true! Jack will always have a soft spot for you guys after you took such good care of him when he was even more of a pup! Thanks for following along! Hey Craig & Lori! Good question, the boys will be picked up before we cross into the south entrance of the GSNP. 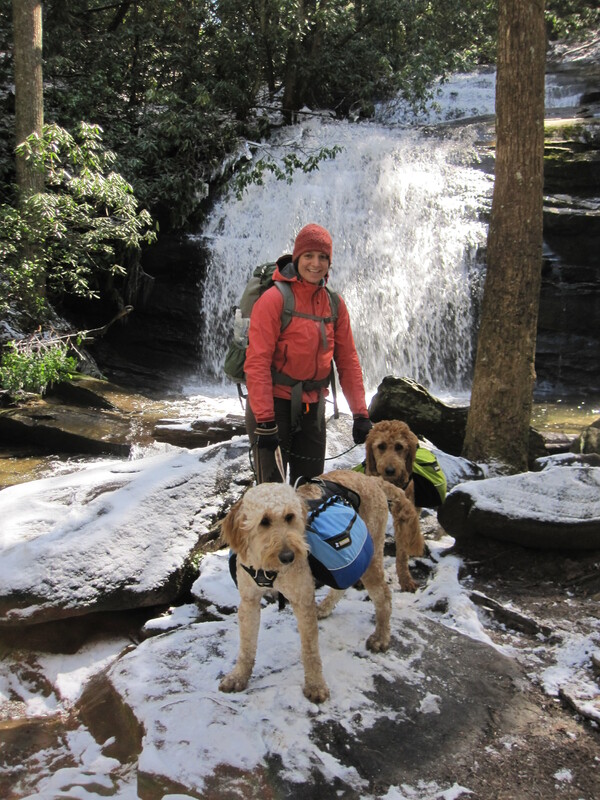 There is a couple who takes dogs for thru-hikers located just a couple yards off the trail at the north end of the GSNP. That way when we finish that stretch we can just walk to the place to reunite with them! Unless of course Craig & Lori want to puppy sit 🙂 Brent says better your a** than mine, Craig! Bears fight nightly, the doodle variety that is. Toughest thing about the hike so far? Hmmmm…probably pacing ourselves. We’ve kept a nice pace – it’s just probably been to fast. 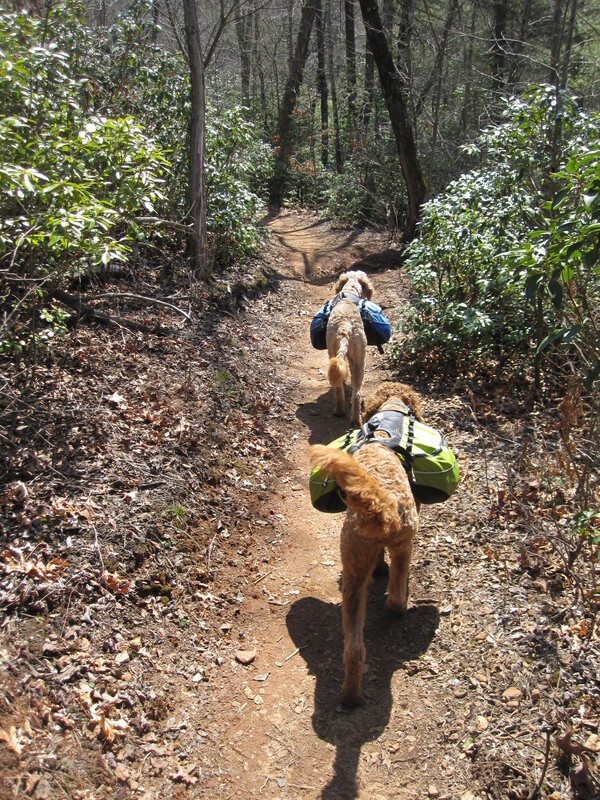 In fact, when other thru-hikers we see often hear us coming they clear out of they way because they know our dogs keep us moving. Our goal heading into NC is to slow it down and enjoy the views a little more. We’ve already been told so often to hike our own hike and that it’s not a race. Looks amazing. So enjoy reading your blog. Be careful and stay safe. So proud of all of you. Nancy D..
Nice to hear from you Nancy, and glad you’re enjoying it. Say hi to everybody at Merchants from me. We want you to stay healthy & enjoy the beauty of your hike. We are glad you are taking a little break. Love the pictures! Don’t feel too bad for Craig, FBI treats him like a step-child! Hi glad all is well. Love the pictures and happy to see that all are smiling! Love love reading your posts and enjoy the pics too. Bella is missing seeing the ‘boys’ out back. She checks every time she’s out. ha Gonna be a long wait for her to see them. Take care and stay safe. Hey Sis- make sure Bella holds down the neighborhood while we’re away! Nice to hear from you and thanks for following along! The dehydrating has begun! Having soooo much fun with it. Zoe has been suntanning on the deck the last couple of days, just wondering whatever happened to her brothers. We did find Lewis’s globe ball – play with it everyday. Keep those pictures coming – it is our lifeline to you guys! So very cool! Truly looks like fun…probably will never actually do myself (shouldn’t say ‘never’ but seriously….) …so it’s great to live vicariously through your posts. Godspeed. Hey, bros, I miss you! Wanted to let you know that a big brown truck delivered 2 buckets of 100% chicken liver training treats today. Had I known what he was delivering, I would have been a bit nicer to the man driving the truck. Anyway….until someone tells my mom where and when these lucious treats need to be delivered, they are on my counter. As you may or may not recall….willpower is not one of my strong suits….just saying. And, I don’t think I have to tell you how good they smell. Love you and miss you! WOW.. Continue to stay safe. It’s just crazy I can’t walk across the street to get to the gym and you two are hiking day and night and for six months. Still am amazed at this adventure. Keep the blog and photos coming.